The facts about fats – what’s good and what’s bad? 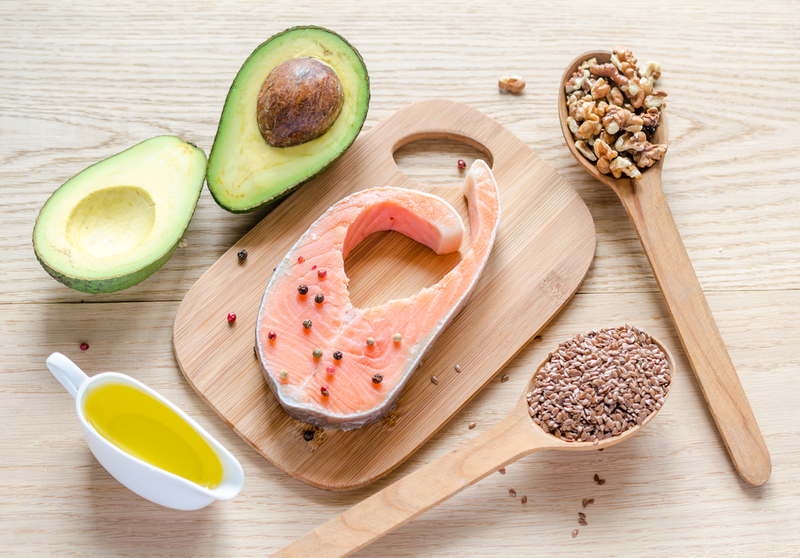 Fats are needed as part of a healthy diet – but which types of fats are better than others and where can we find these ‘good’ fats? Never a day goes by without something in the media about fats and what’s good for you and what’s bad for you – it can be very confusing! Thankfully Clinical Nutritionist Suzie Sawyer is here to provide an easy-to-understand guide about fats, so you can make some informed choices about what fats you’re putting into your body. In simple terms, fats are made up of carbon, hydrogen and oxygen. Fats are therefore named in different ways, due to the chemical structure of their carbon bonds and it is these particular structures that give them their characteristics – i.e. whether they are good or bad! Interestingly, all fats contain the same amount of calories – around nine calories per gram of fat. These are so-named because they have one double carbon bond in the middle of the structure. These types of fats have long been associated with having health benefits for the heart, particularly in keeping blood pressure within the healthy range. 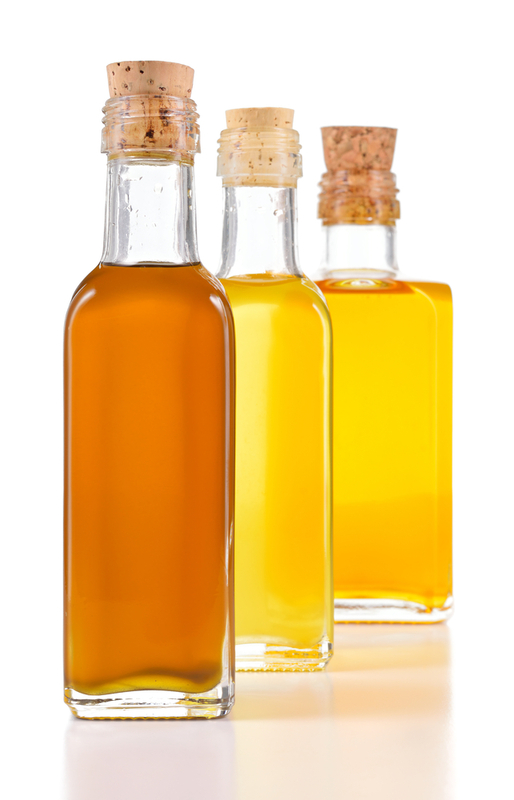 Oils that contain monounsaturated fats are typically liquid at room temperature and start to go solid when chilled. Good examples of monounsaturated fats are olive oil, peanut oil and macadamia oil, plus avocados provide a rich source. 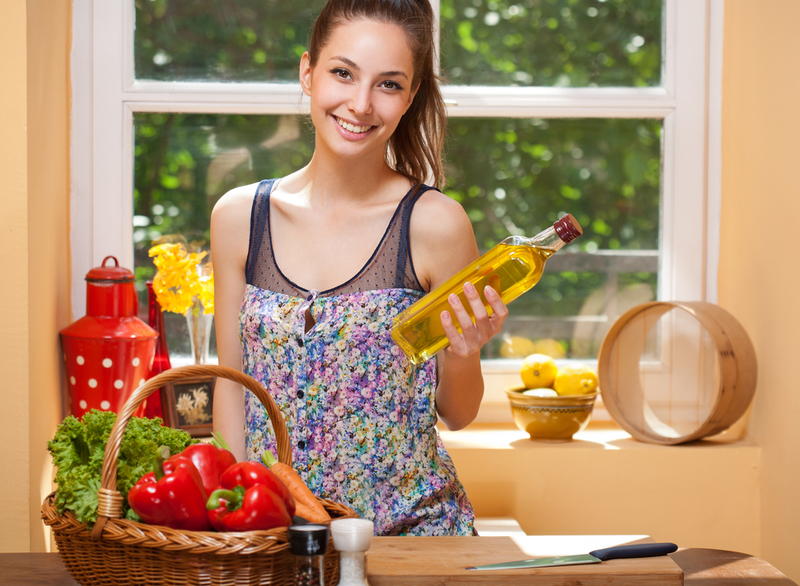 Additionally, olive oil is a big part of Mediterranean food, which we also know to be a heart-friendly diet. The carbon double bond in the middle of the fat’s structure make it chemically stable, which means it doesn’t produce toxic fats when heated; therefore, olive oil is one of the best oils to cook with. Saturated fats are found in all food fats and oils, but are especially abundant in hard fats such as butter and lard. Their chemical structure is very simple – it doesn’t contain any double bonds – and they are solid at room temperature. 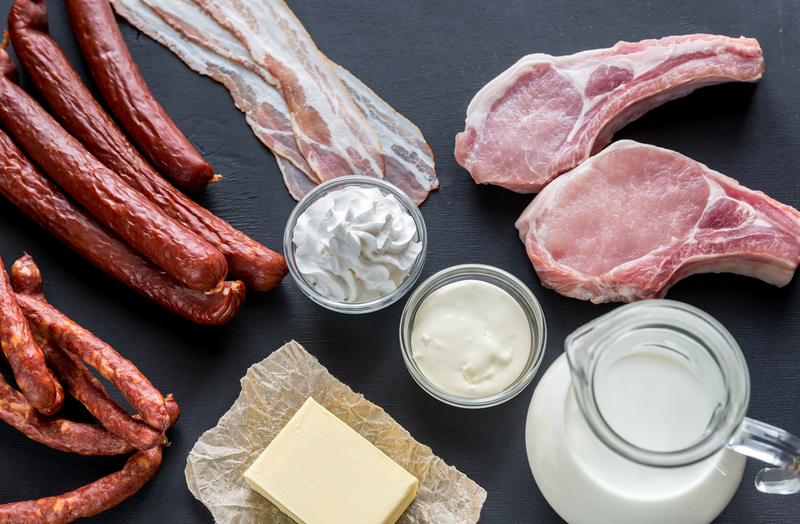 We need a certain amount of saturated fat in the diet for energy and insulation in the body, but because they are hard fats, they tend to clump together in the bloodstream and this can cause problems for the heart. Examples of foods containing saturated foods are beef, pork, lamb and dairy products, including butter. These foods, therefore, should be eaten in moderation in the diet, but there’s no reason to exclude them totally. It’s actually trans fats and sugar that are more problematic for our health – keep reading for more information on this. Polyunsaturated fats have two double bonds in order to provide flexibility for cell membranes and other vital functions in the body. However, because of these double bonds they are less chemically stable. Some examples of polyunsaturated oils are linoleic, sunflower oil and hemp, borage and evening primrose oils. They are also known as omega 6 oils. There is some confusion around the potential health benefits of polyunsaturated oils, such as sunflower. Sunflower oils are often heated and chemically altered – this is how margarine is created, for example. The chemical processing and heating of an unstable polyunsaturated oil causes the structure to change and creates something called trans fats. Trans fats are what can cause many of our more common health problems, particularly heart problems. We are used to seeing the term ‘high in polyunsaturates’ on the packaging of margarine and other refined oils, therefore we can be fooled into thinking they are healthy. This is actually where most of the confusion around healthy and unhealthy oils occurs: oils derived from the polyunsaturated linoleic acid provide many healthy-giving benefits, specifically for the skin and male and female hormones, but not all polyunsaturates can claim the same. These are so-called because they contain three double bonds. This makes them more chemically unstable, so they should not be heated, but this triple bond makes them super-healthy! They are known as omega 3 fatty acids and are derived from alpha linolenic acid (ALA). The body converts ALA to EPA and DHA (two types of long chain omega-3 fatty acids) which provide a wide range of positive health benefits, including supporting our joints, skin, brain, eyes and hormones. Fish oils naturally contain EPA and DHA, hence the importance of eating oily fish such as salmon, sardines, mackerel, and to some extent tuna, on a regular basis or taking an omega 3 oil supplement. 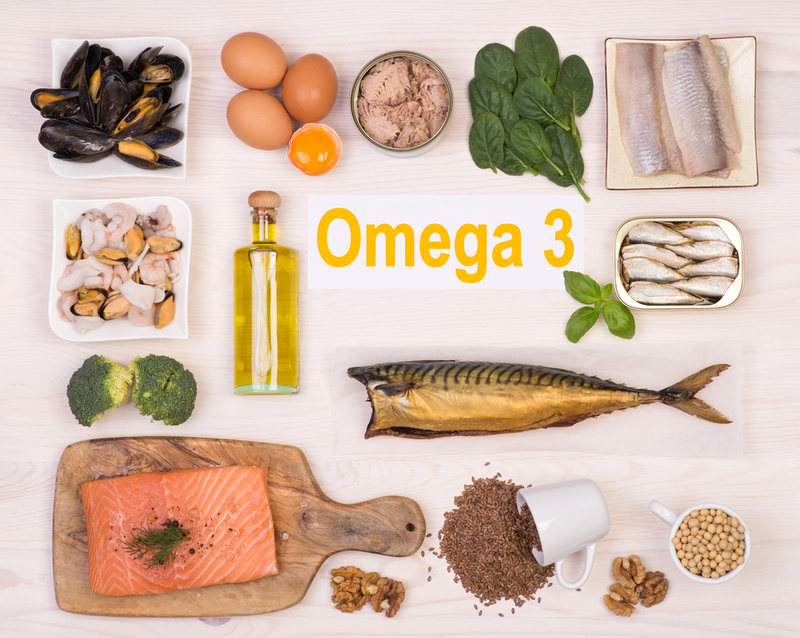 Omega 3’s are termed ‘essential’ because the body cannot make them; they have to be eaten in the diet or taken as a supplement and because they fulfil so many important functions, they should ideally be eaten on a daily basis. It’s often thought that fat make us fat. However, in simple terms it’s actually sugar that makes us fat. Whilst it’s true to say that fat contains nine calories per gram, whereas carbohydrate (sugar) contains four calories per gram, it’s the effect that sugar has on the body that causes most of the problems. 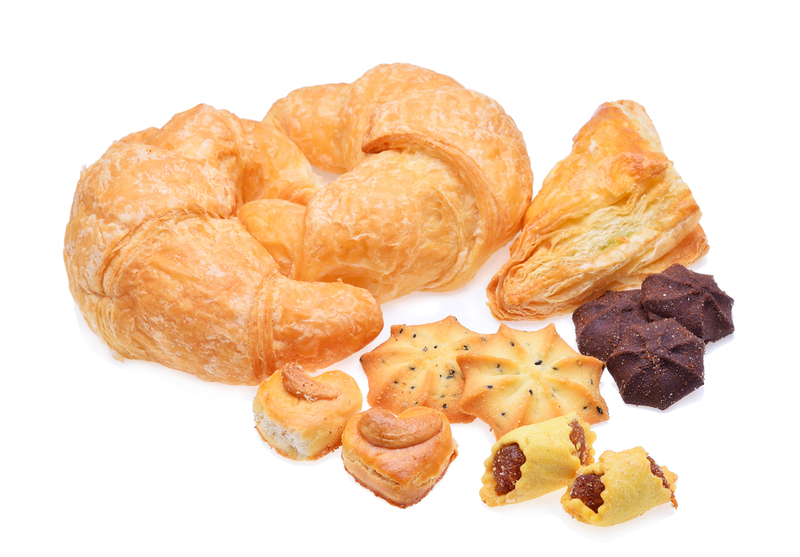 The biggest issues come from refined foods such as cakes, pastries and biscuits. So what happens to sugar in the body? Sugar is released very quickly in the body, causing a rapid rise in blood sugar. The safest place to put excess sugar that arrives in the bloodstream is in the fat cells as the body cannot store it anywhere else. And it is this process that can cause us the most problems. Of course too much fat (and indeed too much food in general) is going to make us fat. However, the body needs a certain amount of fat for energy and other essential functions of the body, plus the omega 3’s are completely essential. In simple terms, the diet should contain no more than around 30% of daily calories from fat, and try to ensure that around 15-20% of this intake comes from the essential omegas. So we hope that these ‘fat facts’ will help you to make more informed choices about which fats you eat in your diet and how to balance the bad with the good. Happy eating!